Rio de Janeiro, Brazil – Political party canvassers were busy on Sunday at Rio de Janeiro’s Gloria market in a last-ditch effort to persuade passersby to vote for their candidate, ahead of next weekend’s elections. “Shame on you,” the campaigner said, prompting a sharp stare in reply. The small, but telling exchange came just a day after battling protests for and against Bolsonaro gripped Brazil’s major cities, signalling a deepening divide within the country. 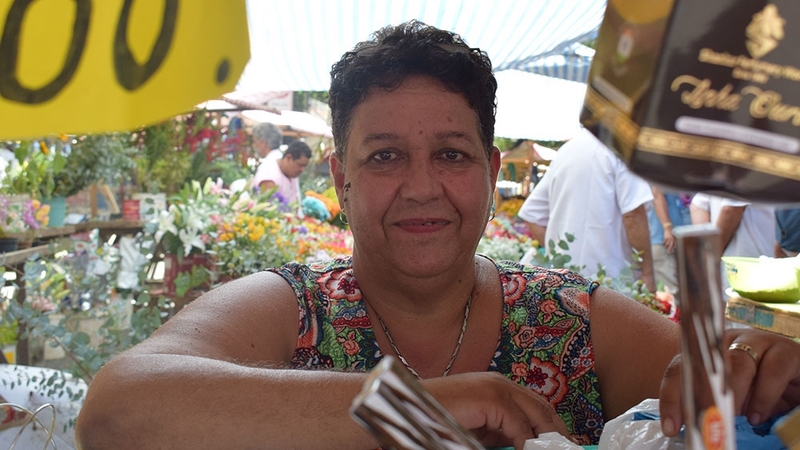 “It [polarisation] worries me a lot … there is much radicalism going on and it is something very sick,” Analice Moreira, a market stall holder, said. “I ask god to change this, because the country is broken and I’m afraid,” the 56-year-old added. 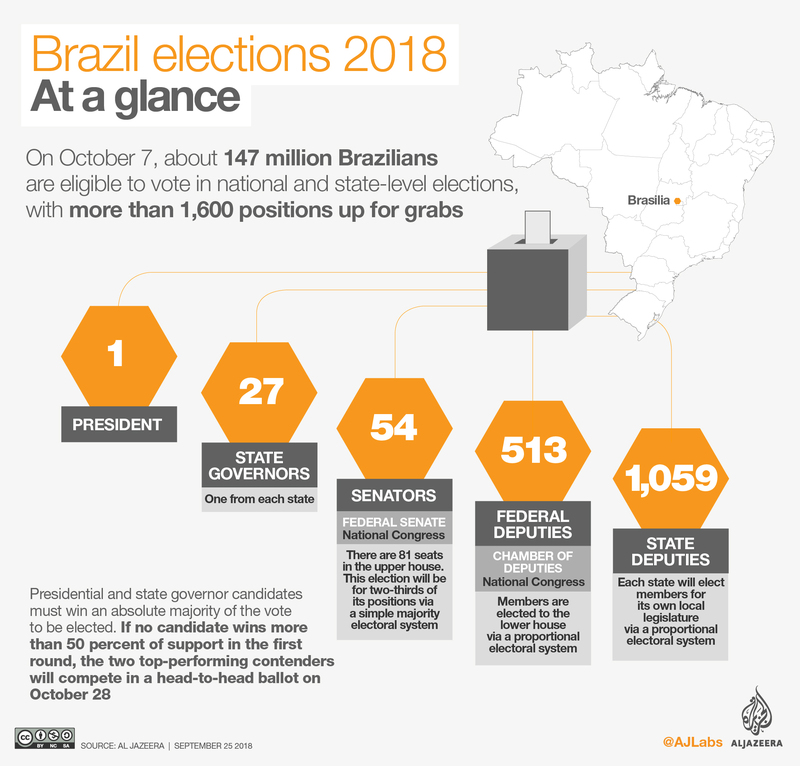 But there is little unity about how to solve the problems, with division dominating the build-up to the first round of Brazil’s presidential election on October 7, when an estimated 147 million voters will choose the country’s next leader and more than 1,600 other positions. 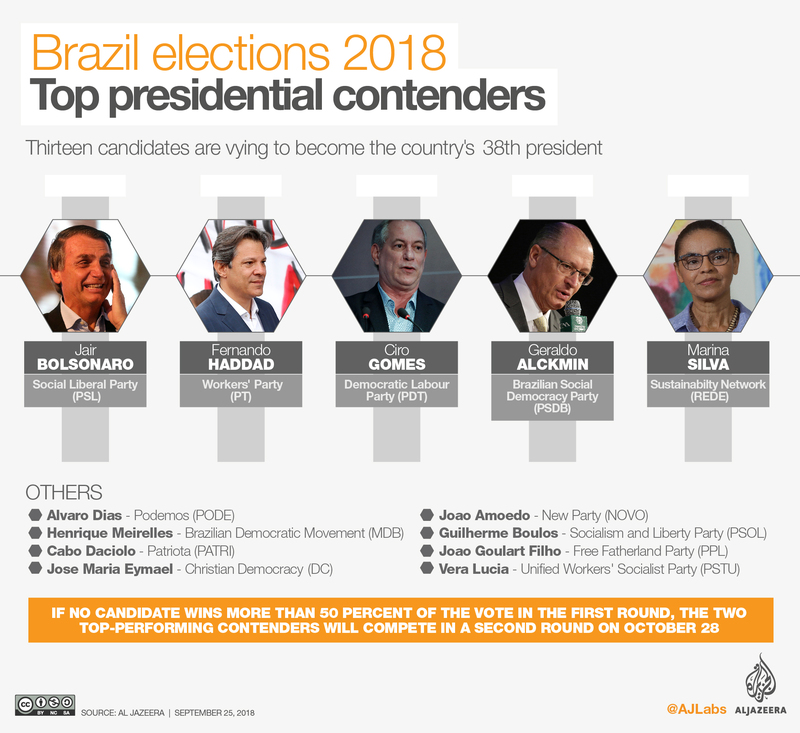 The two most popular presidential candidates – frontrunner Bolsonaro of the Social Liberal Party (PSL) and second-placed Fernando Haddad of the leftist Workers’ Party (PT) – have high rejection rates, 46 percent and 32 percent respectively. Neither Bolsonaro, a far-right former army captain, or Haddad, the PT’s replacement candidate for hugely popular former president Luiz Inacio ‘Lula’ da Silva, are projected to secure the absolute majority support required to win office during the first round vote. Instead, the pair appear poised to contest a runoff vote on October 28, which, if it takes place, would mark the fifth presidential election in a row to be decided by a second round poll. For 18-year-old Pedro Augusto, on the cusp of voting in a presidential election for his first time, that’s a major disappointment. “I still don’t have a chosen candidate, the options are very bad and between the two [Bolsonaro and Haddad], I prefer no one,” he said. “I love my country but the prospects for the next administration are terrible and it seems as if things will get worse … people are very divided at the moment,” he added. 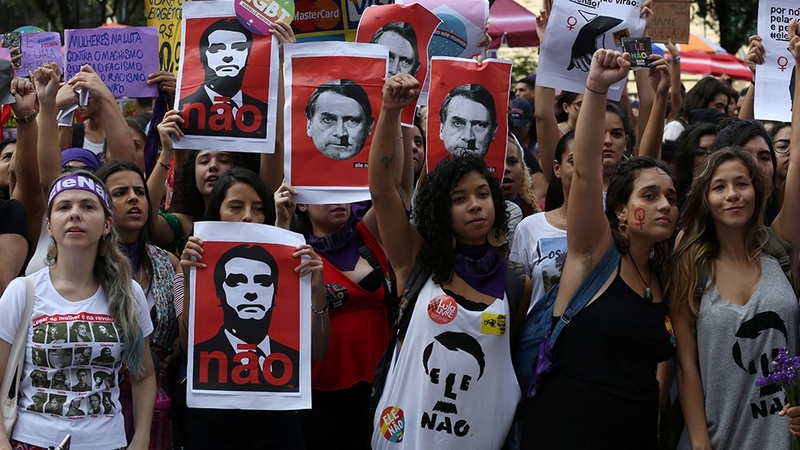 On one side of the divide are supporters of Bolsonaro, who has frequently made polemic remarks in the past on issues relating to race, gender and sexuality and criticised the PT’s economic legacy. On the other is the PT’s pro-Lula base, which has transferred its support to Haddad in recent weeks. “Now is a time when the country should be united, because we are in a crisis and the population should be together not divided,” Augusto said. According to Geraldo Tadeu, a political scientist at the Rio-based Academic Insititute for Research (IUPERJ), the origins of Brazil’s current polticial divide stretches back over a number of years. “It was the very beginning of this idea that the new president [the PT’s Dilma Rouseff] was not legitimate enough because of alleged fraud; this was a novelty in Brazilian politics,” he added. In August 2016, Rousseff was impeached by Brazil’s congress and removed from office over allegations she broke budgetary laws. In the months following her deposal, the opposition PSDB and new President Michel Temer – Brazil’s current leader – of the Brazilian Democratic Movement party were also embroiled in a number of corruption scandals, which until then had predominantly affected the PT. By July 2017, when Lula was convicted, nearly Brazil’s entire political class had been discredited among the electorate. A major anti-graft probe known as Lava Jato, or Car Wash, and other interlocking investigations have seen more than 150 Brazilian business leaders, corporations and politicians – including Lula – prosecuted for corruption since 2014. “Bolsonaro realised there were people on the streets asking for change but they had no voice, so he became their voice,” Tadeu said. “He assumed the discourse against politicians,” he added. 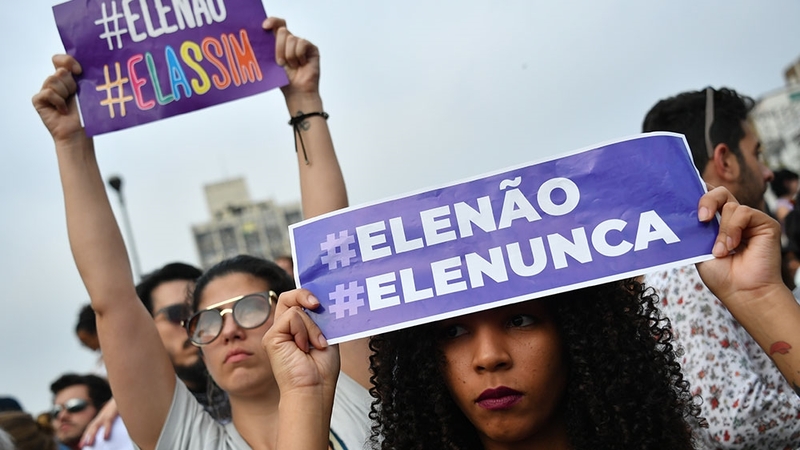 The polarisation in Brazil forms part of a larger picture of widespread dissatisfaction with the country’s traditional political class and waning faith in the country’s institutions. “The politicians only want to make money. The inequality in Brazil is very big and the politicians are cowards, we are nothing for them,” Oliveira, 53, said. “I voted in previous elections but I swear that until I die I won’t vote again, I’m finished, I will annul my vote or pay the tax,” he added. Voting in Brazil is compulsory for all “literate” citizens aged between 18-70, with abstention punishable by a small fine of about $1. Failure to pay the fine can result in citizens being barred from renewing their passport, obtaining government-backed loans or taking public office. According to polling institute Datafolha, about 10 percent of the electorate – some 15 million people – intend to abstain from voting for any presidential candidate. 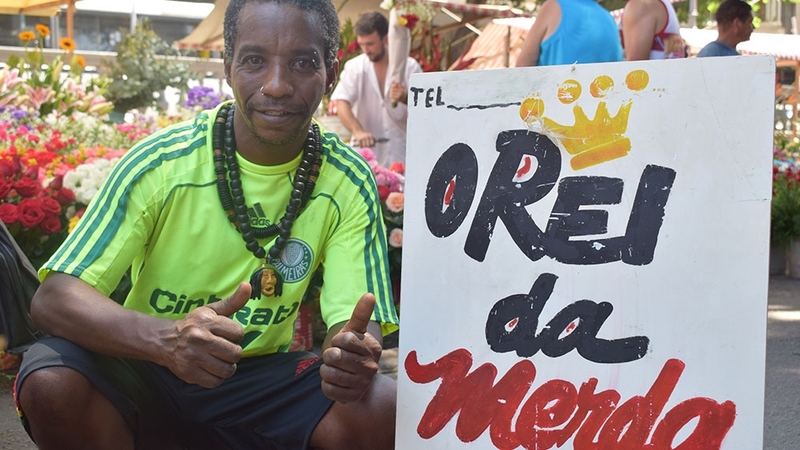 “It’s hard, I know that I’m wrong not to vote but this time I prefer to wait and see [who wins], I don’t want to regret my vote again,” Moreira said. “I’m cheering for the success of the one who wins so that they can find a solution for the country’s problems,” she added.